Lately I have been working extra hard to spruce things up around the house. We are redecorating, which involves new paint and refining other details (throw pillows, curtains, etc.) Being in the mood for change can become costly, so I found some inexpensive ways to add unique details to our new look (nothing major has been done yet, I will be posting about that later). I wanted to bring a little green inside with low maintenance plants. 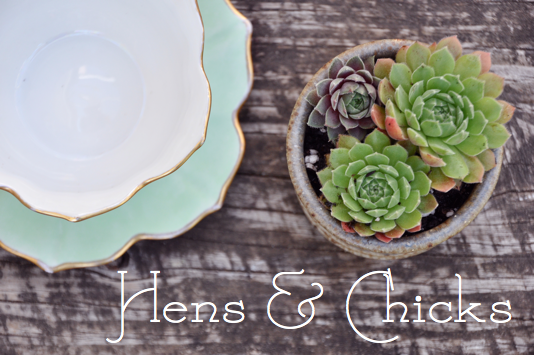 Hens & chicks + other succulents are a fool proof way to liven things up. 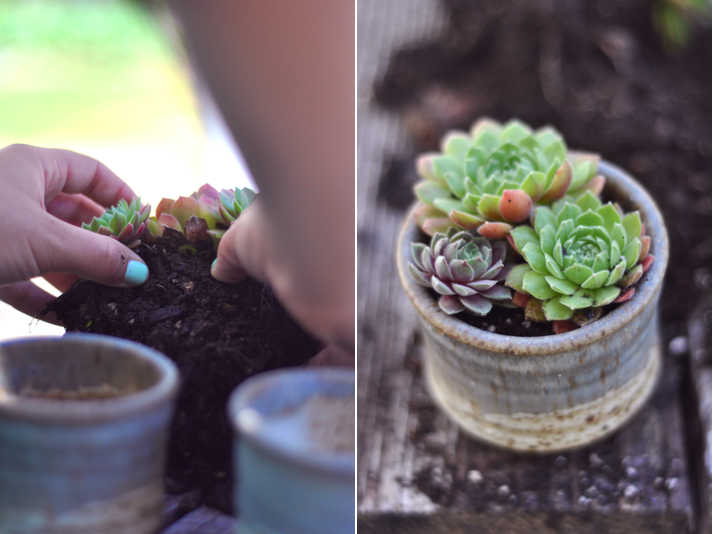 They are extremely easy to plant and literally take no/minimal effort post potting. 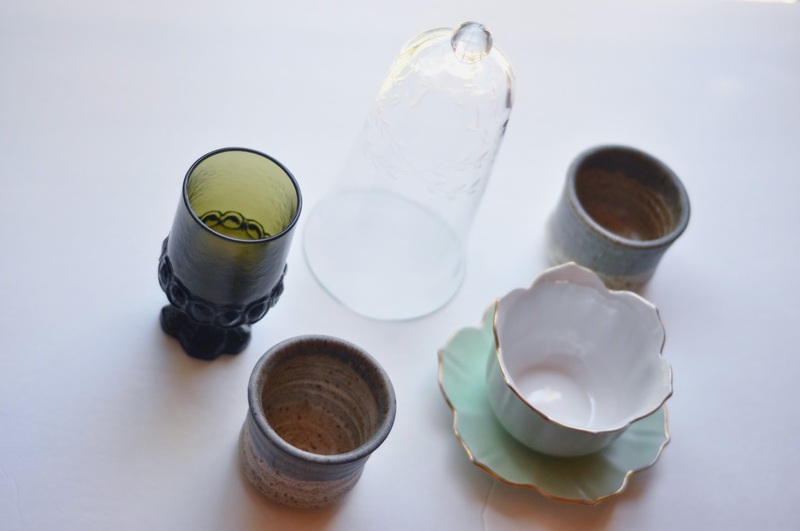 I wanted to be sure I had my vases before purchasing what would go in them, because having a plan always helps minimize failed projects. 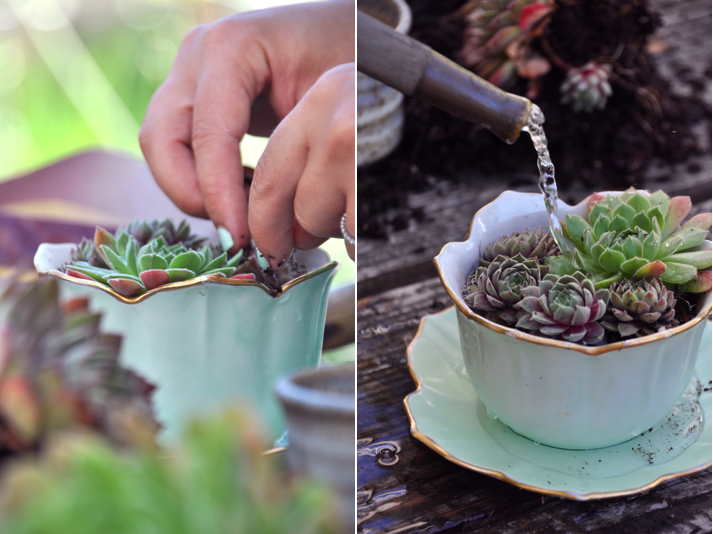 The potting process is fairly simple and straightforward (i.e. dummy proof). I pulled out the plants, separated them by their roots, filled my containers with soil, pressed them into the soil in whatever arrangement I pleased and then trickled a little water over them. Pretty easy!